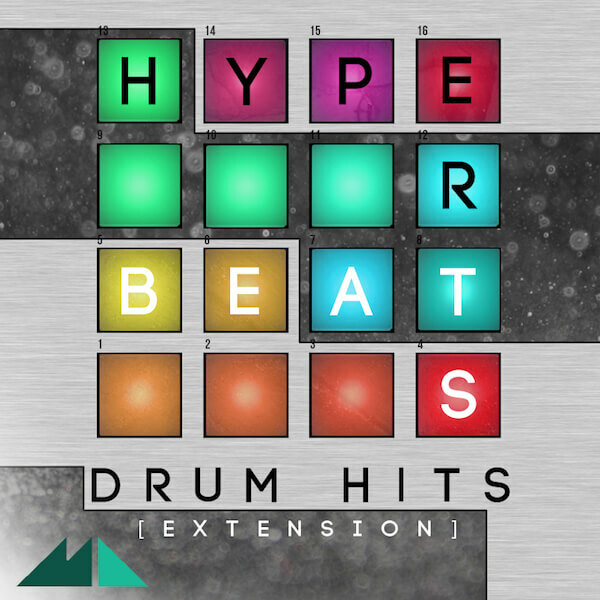 ‘Hyper Beats: Drum Hits’ by ModeAudio sends atoms of pure percussive energy spinning around a gargantuan circuit, sped up by giant magnets and with no barriers in sight. Welcome to a supercharged world of percussive damage, where 160 drum hits collide, explode and fragment into fantastic new percussive form. From huge, thumping kicks to crisp, tight snares, ‘Hyper Beats’ possesses the kindling to burst your drum sound into fiery life! Created with Maschine 2.0’s all-new drum synth plugins, Hyper Beats can barely contain the pure energy and raw power of its 160 drum hits. From Trap, classic Hip Hop, House, EDM, Dubstep, Bass and more, the sounds have been sculpted into 10 sets of 16 drum sounds just waiting to be thrown into your favourite sampler. From thundering kicks, snarling snares and crystal-clear hats (open and closed) to piercing percussion and sizzling SFX, this fiery sample collection will blast your drum sound into a whole new frenetic dimension. Download, extract and stand back – Hyper Beats is about to knock the hell out of your speakers!